Community colleges nationwide serve over 10 million students. However, not enough community college students complete a credential or degree, or transfer to a four-year institution. Completion by Design was a five-year Bill & Melinda Gates Foundation initiative that works with community colleges in Florida, North Carolina, and Ohio to significantly increase completion and graduation rates for students, particularly those from low-income families. A planning guide that summarizes key design principles for improving community college completion rates and a companion self-inquiry guide to help community colleges examine their own areas of strength and their emphasis on increasing student academic success. An interactive online Knowledge Center, a searchable database containing expert-identified and vetted research and planning documents to support grantees through the planning, decision-making, and implementation stages as they undertake collegewide reform. The Knowledge Center also included two memoranda written for the Bill & Melinda Gates Foundation on what is known from research and practice about aligning K-12 and community colleges efforts and the use of technology to expand support services to a larger number of students. 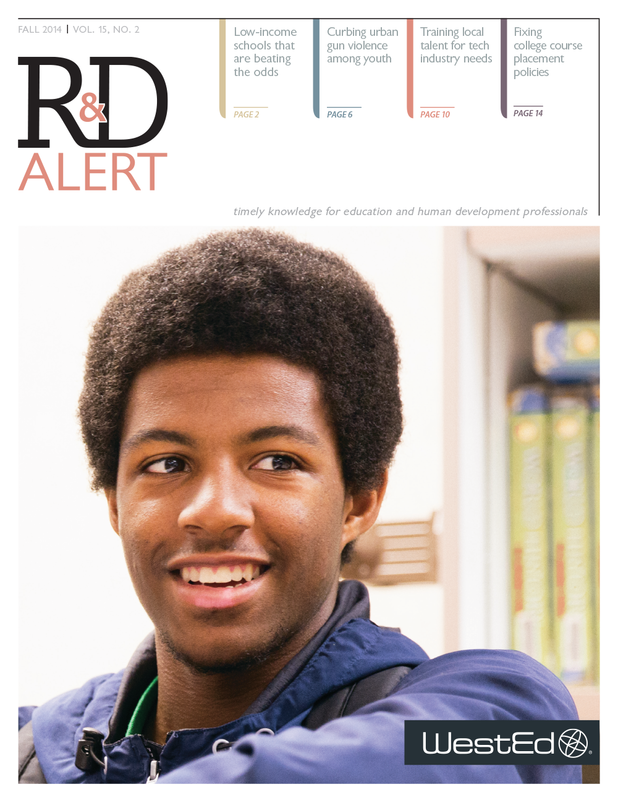 A jointly published report, Connection by Design, authored by WestEd and Public Agenda, that uses student focus group data to discuss how colleges can more effectively provide students with the services they need to complete a credential. This WestEd report explores how the integration of student supports and academics in community colleges fit within an overall strategy to raise completion rates. How can student services in California's community colleges better contribute to student success? A series of eight memos explores this issue. This planning tool is designed to help community colleges facilitate productive conversations and develop comprehensive plans to raise student completion rates. What does it take for students to truly be ready for college? And how can state and federal policymakers help to improve college preparation and readiness? Find out in this report.